"Like, how could you be conceited, you don't even like your own face. What are you talking about? 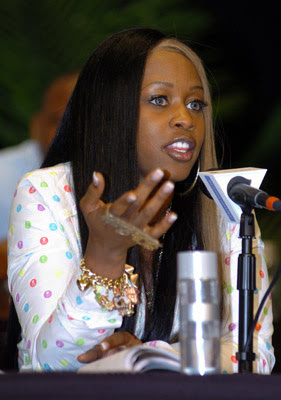 Are you serious…You don't like your nose, you don't like your cheeks, you don't like your chin, you don't like your skin color, you don't like your t*ts, you don't like your stomach, you don’t like your teeth...this chic has more ghostwriters than Foxy [Brown]."